In introducing the Permanent Settlement, British officials hoped to resolve the problems they had been facing since the conquest of Bengal.After a prolonged debate amongst Company officials lead by Charles Cornwallis, the Permanent Settlement was made with the rajas and taluqdars of Bengal. They were now classified as zamindars, and they had to pay the revenue demand that was fixed in perpetuity. In terms of this definition, the zamindar was not a landowner in the village, but a revenue Collector of the state. Zamindars had several (sometimes as many as 400) villages under them. In Company calculations the villages within one zamindari formed one revenue estate. The Company fixed the total demand over the entire estate whose revenue the zamindar contracted to pay. But the system failed due to below reasons. 1. The initial demands were very high. This was because it was felt that if the demand was fixed for all time to come, the Company would never be able to claim a share of increased income from land when prices rose and cultivation expanded. To minimise this anticipated loss, the Company pegged the revenue demand high, arguing that the burden on zamindars would gradually decline as agricultural production expanded and prices rose. 2. This high demand was imposed in the 1790s, a time when the prices of agricultural produce were depressed, making it difficult for the ryots to pay their dues to the zamindar. 3. The revenue was invariable, regardless of the harvest, and had to be paid punctually. In fact, according to the Sunset Law, if payment did not come in by sunset of the specified date, the zamindari was liable to be auctioned. 4. Rent collection was a perennial problem. Sometimes bad harvests and low prices made payment of dues difficult for the ryots. At other times ryots deliberately delayed payment. Rich ryots and village headmen – jotedars and mandals – were only too happy to see the zamindar in trouble. series of manoeuvres. The Raja of Burdwan, for instance, first transferred some of his zamindari to his mother, since the Company had decreed that the property of women would not be taken over. Then, as a second move, his agents manipulated the auctions. When a part of the estate was auctioned, the zamindar’s men bought the property, outbidding other purchasers. Subsequently they refused to pay up the purchase money, so that the estate had to be resold. This process was repeated endlessly, exhausting the state, and the other bidders at the auction. At last the estate was sold at a low price back to the zamindar. 6. When people from outside the zamindari bought an estate at an auction, they could not always take possession. At times their agents would be attacked by lathyals of the former zamindar. Sometimes even the ryots resisted the entry of outsiders. They felt bound to their own zamindar through a sense of loyalty and perceived him as a figure of authority. By the beginning of the nineteenth century the depression in prices was over. Thus those who had survived the troubles of the 1790s consolidated their power. Rules of revenue payment were also made somewhat flexible. As a result, the zamindar’s power over the villages was strengthened. It was only during the Great Depression of the 1930s that they finally collapsed and the jotedars consolidated their power in the countryside. The British Parliament passed a series of Acts in the late eighteenth century to regulate and control Company rule in India. It forced the Company to produce regular reports on the administration of India and appointed committees to enquire into the affairs of the Company. It was the fifth of a series of reports on the administration and activities of the East India Company in India. Often referred to as the Fifth Report, it ran into 1002 pages, of which over 800 pages were appendices that reproduced petitions of zamindars and ryots, reports of collectors from different districts, statistical tables on revenue returns, and notes on the revenue and judicial administration of Bengal and Madras written by officials. 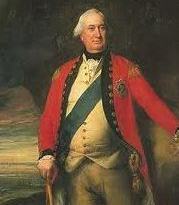 He was the commander of the British forces during the American War of Independence and the Governor General of Bengal when the Permanent Settlement was introduced there in 1793. Term used to designate peasants in British records. Ryots in Bengal did not always cultivate the land directly, but leased it out to under-ryots. Literally one who wields the lathi or stick, functioned as a strongman of the zamindar.